I didn’t even mean to go to this bookshop today, but it was a very happy accident. I’ve been into a lot of interesting bookshops in the name of The Matilda Project and in them I’ve found intellectually, aesthetically and emotionally pleasing sights, but it simply cannot be denied that this is the most beautiful bookshop I’ve been in yet. Hanging from the roof there are elegant white lighting fixtures and, scattered amongst them, small white explosions that look like flowers or birds or snowflakes. But really, they’re books. Old books whose pages have been used to create the sense of being surrounded by a flock of birds, whose wings are printed pages, about to fly off, out into the streets of Notting Hill. I’ve always felt a certain ambivalence to book art, even though I know that there are some truly beautiful sculptures made of hollowed-out, old and obsolete books. Of course it depends on what the books is. Cutting up the pages of a book about business-management-finance-legal-bureacray-or-whatever doesn’t seem like such a crime at all, in fact, making it into a piece of art is doing it a favour. But to desecrate a copy of the 1623 Folio would, obviously, be an atrocity deserving a lifetime in jail. Listening to Rebecca Black. In a way, books are brilliant because they give their authors (and sometimes their readers) a life that goes on even after the individual is gone, so why shouldn’t we return the favour, and give them a second life? It’s a bit of a sticky issue and I haven’t figured it out, but the book birds at Lutyens & Rubenstein, no matter what I decide, will always be something special. The rest of the shop is bright with an open, modern feel. 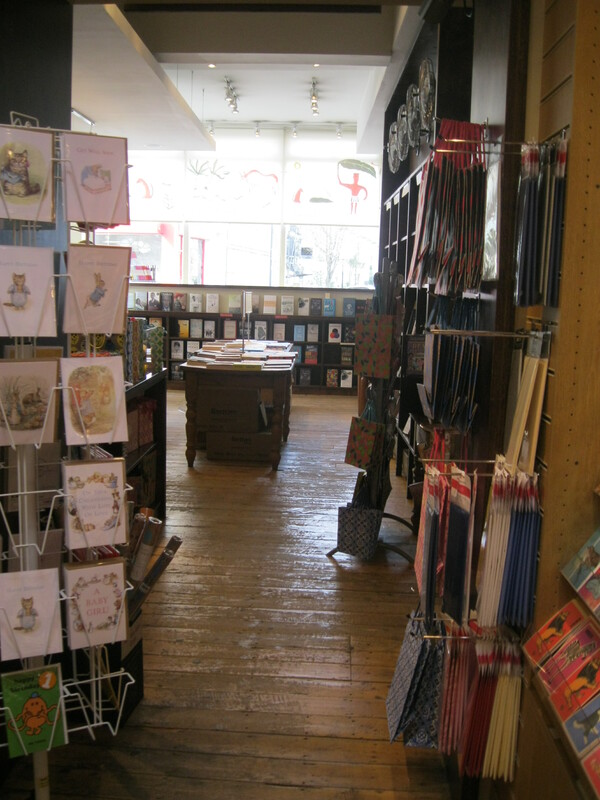 A sleek white staircase leads to the downstairs and the children’s section is up on a little mezzanine level with a view of those paper mobiles and the rest of the shop. 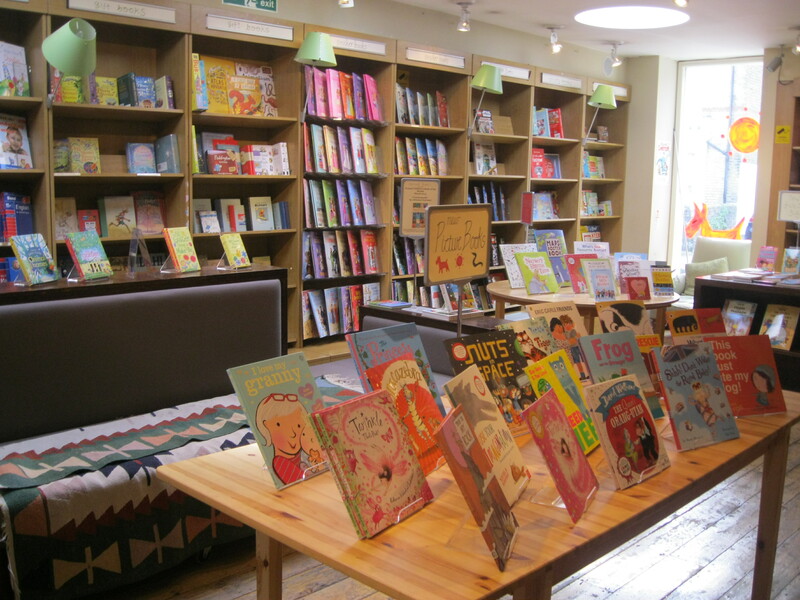 It’s a really beautiful shop, worth it even if you’re not a big reader just for the absolutely lovely space. But if you are a reader, you’ll be pretty pleased as well. Upstairs is the beginning of the fiction section (A to about F, I think), a poetry corner and many books about art, history and politics, as well as biographies. The selection is fantastic and represents a real mix of classics (there were SO many Dickens books!) and contemporary fiction. The choice of books about culture, politics, history and media was thoughtful and relevant. Downstairs there was a really impressive selection of art, architecture, photography and fashion books, displayed neatly and beautifully on the shelves, a table and even sitting in one of two armchairs. The other one, I was delighted to find, was empty, tucked in a corner and had a little lamp beside it. 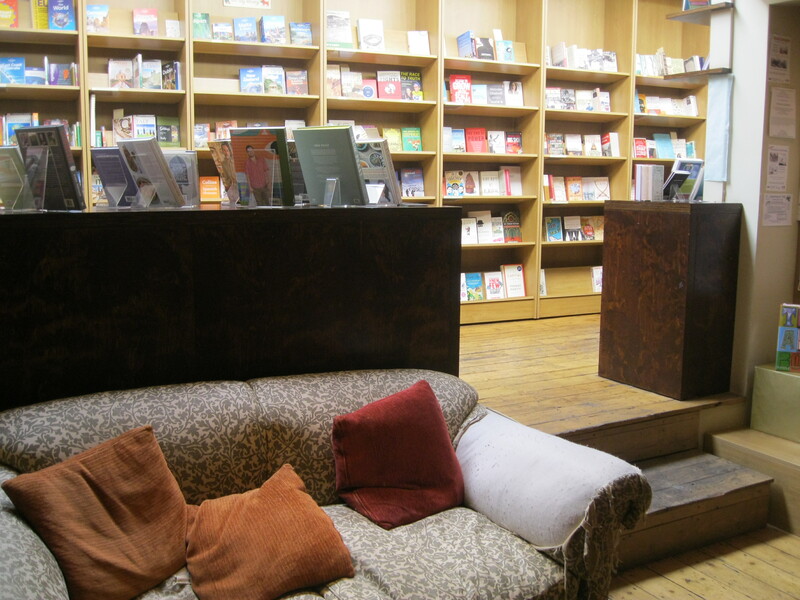 I cannot express how much I love bookshops with comfortable seating. I was tempted to buy a very interesting book about the Regent’s Canal, which replaced the south bank as my favourite running route when I moved all the way to North London (shiver…just kidding, now I love it). It was such a cool book, tracing the canal as it moves through different areas of London, from Little Venice to The Olympic Park. So cool! I decided not to in the end and it was my boyfriend who ended up making the purchase. Since reading The Book of Daniel by E.L. Doctorow, he’s been looking for something else by him but has been having a hard time finding it. In L&R, Doctorow was there and he bought Ragtime. I overheard him having a chat about it with the very friendly bookseller while I was looking through the children’s books. Once again, I came out empty-handed, possibly because I know that Christmas is coming and I will very soon have to fork over lots and lots of cash in bookshops. (By the way, if you haven’t seen it, Jon Green’s video about buying books for Christmas is brilliant: http://www.youtube.com/watch?v=Y4UT9iBdQDI and I’m in love with him.) Despite not buying a book today, I love this bookshop. It’s a quiet, beautiful space, a bit like an art gallery or a museum, where the centrepiece is BOOKS and all kinds of beautiful, clever, interesting, unique books. Spending half an hour among the paper birds and flying away with the words printed on them is a lovely way to spend a morning. And if you can do it in a light and pleasant bookshop while sat in an armchair in a basement, well then you’re pretty lucky, wouldn’t you say? 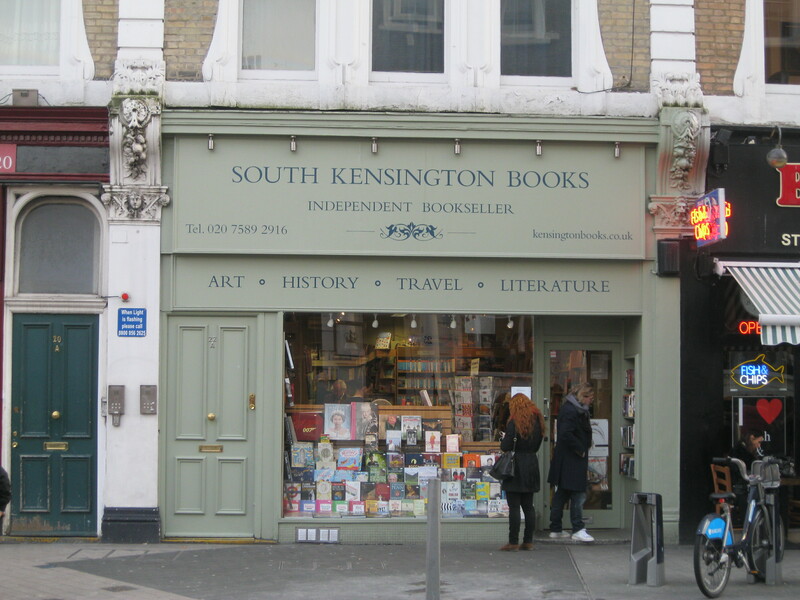 Two Notting Hill Bonus Bookshops! 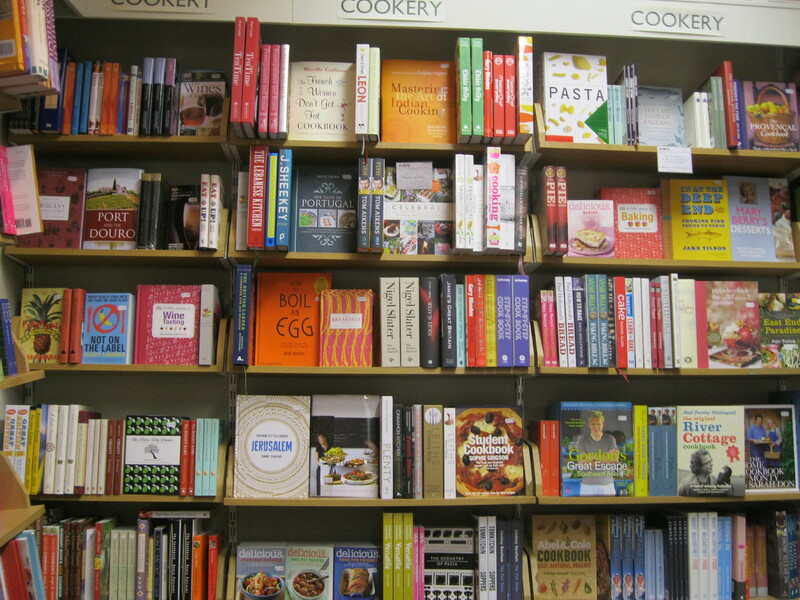 If you find yourself in the area with time and the inclination to browse around a bit more, try Books for Cooks! This lovely little bookshop is just around the corner from L&R and if you love cooking (or just love food) it’s a fantastic place to be. The walls are covered with bookshelves and the shelves are absolutely crammed with cook books. Organised by region of the world, you’ll find more than your standard Jamie and Nigella here. These cookbooks bring the whole world and all of its smells and tastes to even a cold and dreary December morning in Notting Hill. The sheer number is quite overwhelming to anyone who’s not a chef or an absolute connoisseur, but even if you know nothing at all about food, poking around is fun! And if you get there early enough in the morning, you can even grab a bite at the cafe in the back of the shop! 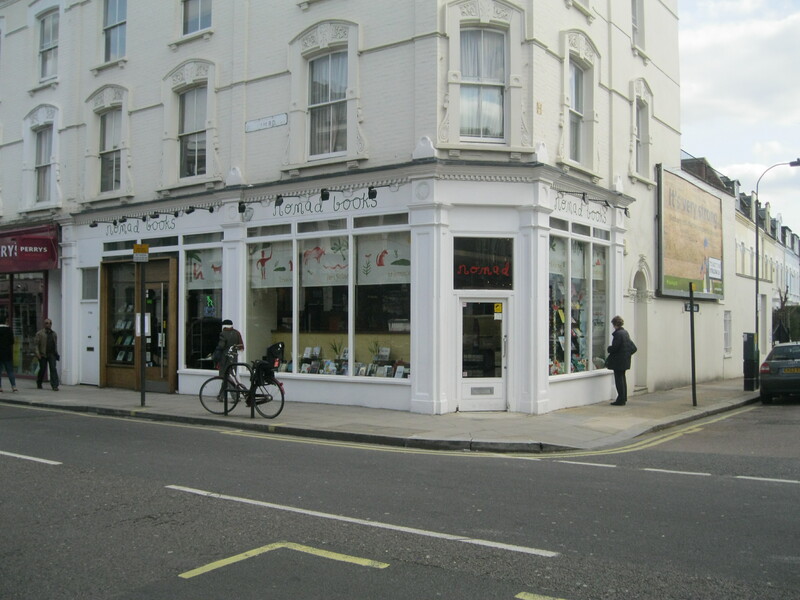 Built on the site of the Travel Bookshop made famous by a certain film called Notting Hill (maybe you’ve heard of it?) 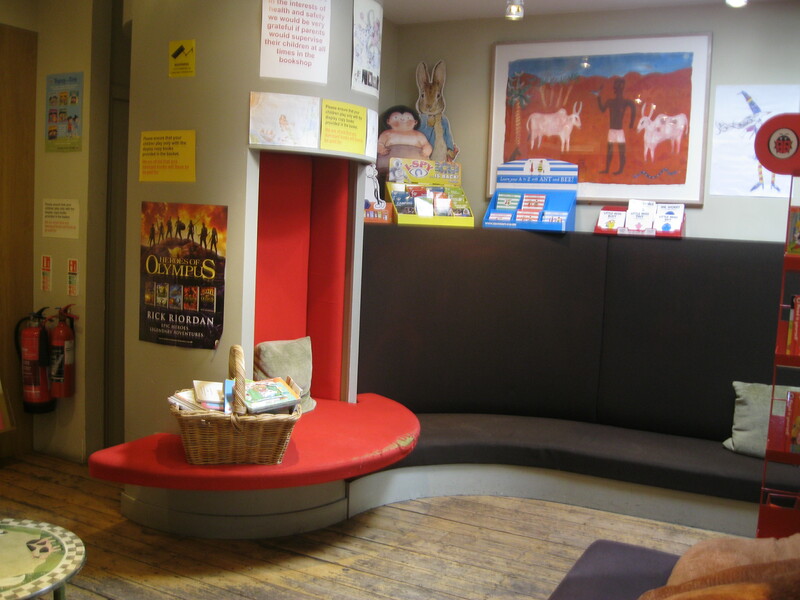 this little bookshop is officially the most tourist-y bookshop in London. In a way, that’s cool. In a way, it’s completely and totally awful. 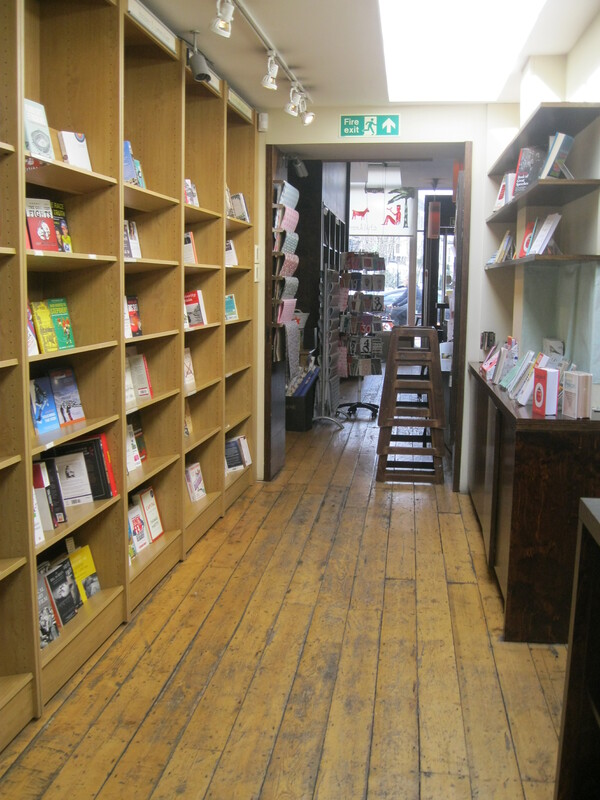 If you can bear the crowds, it’s actually a really lovely little bookshop, with a great fiction and poetry selection and well-stocked history and politics sections too. And of course, a wide range of travel books. Today I went for a nice long walk from my flat in King’s Cross down to this bookshop in London Bridge. Despite the drizzle, the cold and the wind, it was a lovely walk, because I passed St. Paul’s Cathedral, crossed over the river at Southwark Bridge, getting a view of the Tate Modern and Shakespeare’s Globe Theatre, walked through Borough Market and made my way along the river into Hays Galleria, just off Tooley Street. The walk along the south bank of the Thames is amazing. When I lived in Spitalfields, my favourite route for a run was down to the river at Tower Bridge and along the south bank up through Central London. Oh, I could rave about that route for hours, but it’s one of those things you have to do for yourself if you ever have a sunny (or not!) day in London. I had walked past Riverside Books many a time before today but never actually gone in. I’m very glad that today I finally did! It’s a wonderful little shop, right on the river, just west of Tower Bridge. It’s a bit of a departure for me, since my favourite haunts tend to be old and crumbling and delightfully unreliable, but this bookshop is modern, fresh and neat. Normally, that’s not a complimentary description coming from me, but in this case, it works. I think what’s so appealing about it is that it’s modern but without being a giant conglomerate or an indifferent money-machine. There’s still character and charm in this shop. 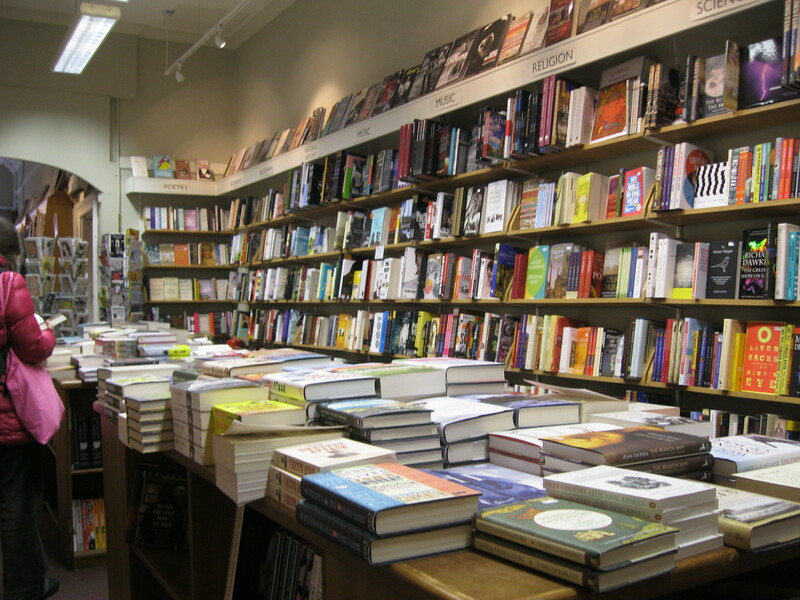 The shelves are populated by a careful, deliberate and masterful selection of books. All the books which have recently won or been shortlisted for any of the big prizes are on display, so you’re sure to come across not just a book, but a good book. Of course, even the most prestigious of prizes are awarded to a dud sometimes (cough, cough, The Sense of an Ending…) but I still think that when you’re looking for a good read, starting with prize-winners is not the worst thing you could do. 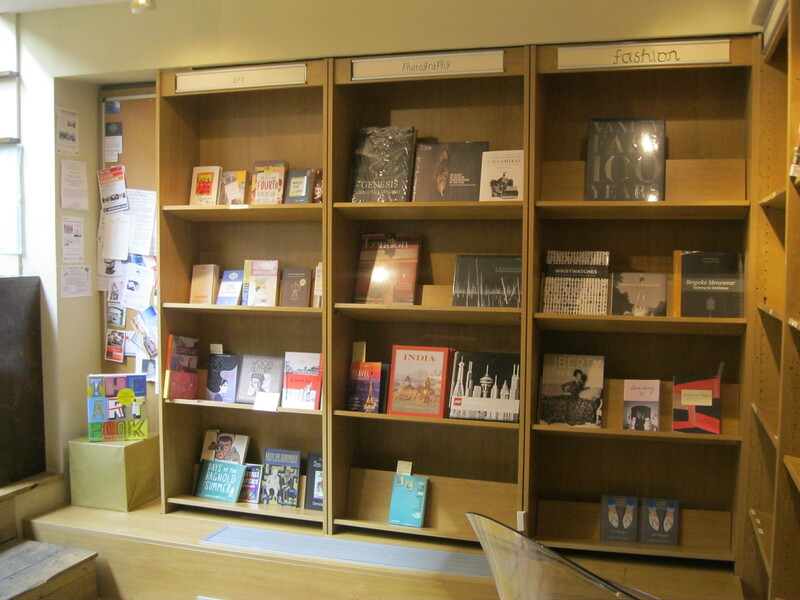 In addition to these, there is a whole bay dedicated to new releases, some by famous and acclaimed writers and some by less-known authors or newcomers. Bestsellers, of course, also have their place, but I was delighted to see that while those dreadful books by that despicable fifty shades woman were present, there were only one copy of each “book”. Instead of the entire bay of copies you’d see in some bookshops, here they got half a shelf. About a million times more than they deserve. 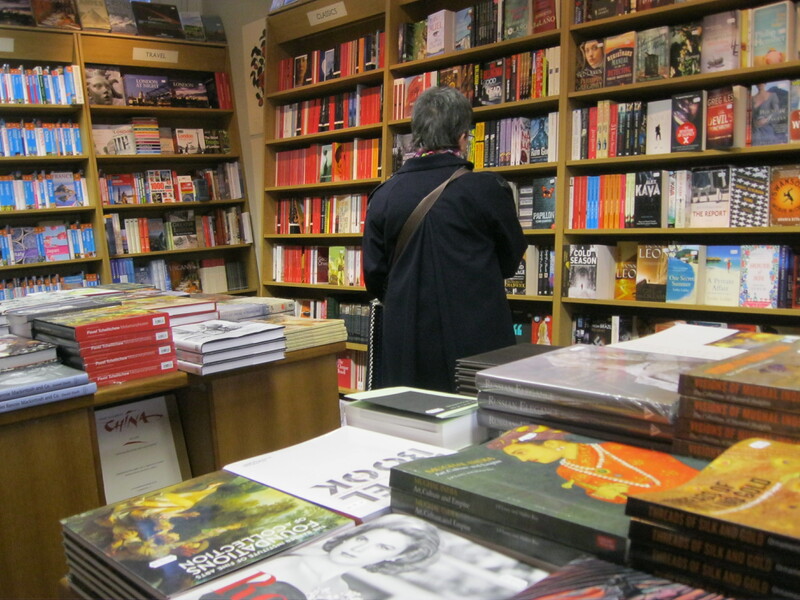 There was a wide range of books in the fiction and poetry sections, so I was very happy! I was also delighted that there was an entire section of literary anthologies! They also have an amazing collection of travel books and guides, which I always enjoy looking at and imaging the possibilities. Berlin! Vienna! Nice! Dublin! The wide range of cookbooks, crime, fantasy, science fiction and children’s books was more than you’d need and they were all arranged beautifully and organised perfectly. As it should be, the books take the spotlight in Riverside Books and it’s a beautiful sight. Like any good bookshop, this one still has customers shuffling in and out and in a relatively small space, I enjoyed eaves-dropping on them this morning. A couple came in about the same time I did and when they went to pay for their books at the till, the bookseller asked the man if he wanted a loyalty card. His hilarious response was, “No, I’m not loyal to anything.” His girlfriend, without missing a beat, replied, “Thanks for that”, leaving him awkwardly fumbling with change and words to try and make the situation go away. Listening to snippets like this is, aside from the books, one of my favourite parts of going to a bookshop! I was particularly excited to see that there were lots of books about books, as I’ve pointed out in a couple of other shops recently. Is it possible that as we see physical books, publishing and a reading culture in general being threatened, people are mobilising, making their voices heard and taking time to talk about, celebrate and properly appreciate books and the printed word? One can only hope! Anyway, it was in this section that I found the book I came home with today. This is not the end of the book;by Umberto Eco and Jean-Claude Carrière is a conversation between these two literary men about the future of books. I laughed out loud at the quotation from Umberto Eco on the back cover: “The book is like the spoon: once invented it cannot be bettered.” And it’s true, isn’t it? In my life, books, the physical artefacts, have been as common and pedestrian as spoons – always a part of my daily life, quietly appreciated, needed and never questioned. The difference being that I actively adore books. Spoons I just feel okay about. But books, real books, are exactly perfect, just as they were the day the first one was bound. They fit in our hands, they play with our senses, they create joy and excitement with the built-in metaphors of turning new pages, starting new chapters. 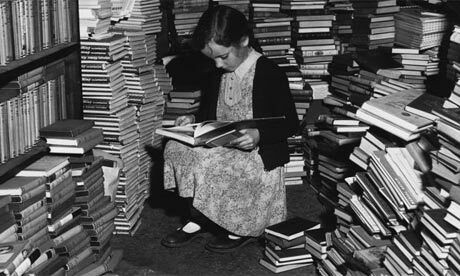 Books are our lives; we move through them the way we move through our years. Our bodies, like our books, are always being shared, being admired, getting damaged, being marked by experiences (whether ear-marked or scar-marked), changing (whether yellowing or wrinkling), being loved, being forgotten, being remembered. And our hearts, in our lives and in our books, are always changing, growing, making new friends, missing them when they go, fearing what comes beyond the next turn (or page, or chapter), wanting to flip ahead to make sure it all turns out all right but knowing we can’t, worrying about how many pages we have left. Books and human lives go together, perfectly. At Riverside Books, I was reminded of this. Places like this are a relief, a redeeming bit of sunshine and of hope, where books (and truly good books) are all that you really need. Well, okay; a view like this doesn’t hurt either.